Getting to your destination has never been easier thanks to Joe’s Princeton Taxi & Limousine. 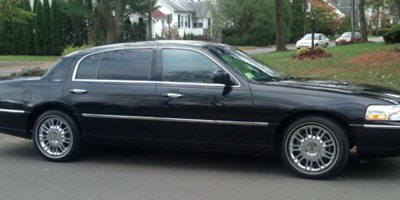 We facilitate quality taxi service in Princeton, NJ, and throughout the Tri-State area. With our services, you can move on with your trip plans. Count on our versatile and knowledgeable drivers to take you to your destination. With our emphasis on safety and courtesy, you can have confidence in our team. We’ve been helping travelers throughout the area get where they need to be for more than 20 years. It’s thanks to our responsive and versatile approach to service. We are available 24 hours a day, 7 days a week. Also, we’re thoroughly knowledgeable of the area, including the major airports and popular travel destinations. 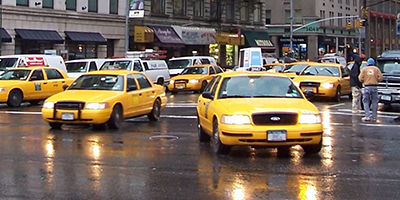 We also maintain a fleet of vehicles, ranging from traditional taxi cabs to 15-passenger vans. Whether you are traveling alone, with family, or with your organization, you can count on us to meet your local transportation needs. to request transportation services within NJ, NY & PA. Flying is fun--but getting to the airport can be a hassle. Traffic, timing, and finding secure parking can put your travel plans in disarray. Let us take you to the airport instead. Our airport transportation solutions will save your time, energy, and peace of mind. Now, there’s no need to leave your prized vehicle in an unfamiliar parking lot while you’re away. We’ll be your ride to and from the airport, ensuring you won’t miss your flight. Sit back, relax, and enjoy your time traveling. Our drivers are here to help you get more from your trip. We provide pick up and drop off services to the major airports and train stations throughout the area. We know our way around the roadways, and we always prioritize the safety of our passengers. Transportation services are also flexible. You are welcome to book one of our drivers months in advance, or even call us at a moment’s notice--we’ll pick you up in no time. Enjoy the distinct culture and locales that the Tri-State area has to offer: we’ll be your guides. With us handling all of your driving, you can focus on enjoying your visit. Our transportation services are available for local and long-distance destinations. Whether you’re in the mood for an excursion during your business trip or are a first-time visitor, our drivers are ready to take you wherever your curiosity leads. We know all about the local attractions, and we are happy to recommend restaurants, shops, and must-see destinations. Travel should be exciting and worthwhile. To that end, our drivers are committed to helping you save money. We offer a wide range of discounts for many of our private transportation and taxi services. Along with our competitive rates, we help keep your travel costs sensible. Contact us to request a ride from our experienced drivers. We are based in Princeton, NJ, and serve the Tri-State area, including the cities of Cranberry, East Windsor, Ewing, Hamilton, and the surrounding communities.